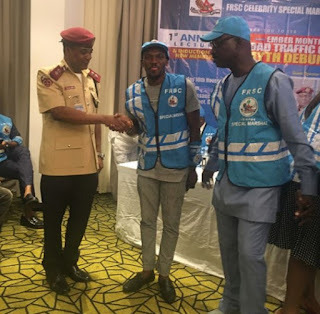 Kennis Music number one singer, Joe-El has been endorsed as Member of Federal Road Safety Corp (FRSC) Celebrity Special Marshal. The Do Good crooner took to his official Instagram account to share this beautiful news a while ago with photos and videos of the ceremony. Congratulations to him and don't forget to drive safe and stay alive this Christmas season.